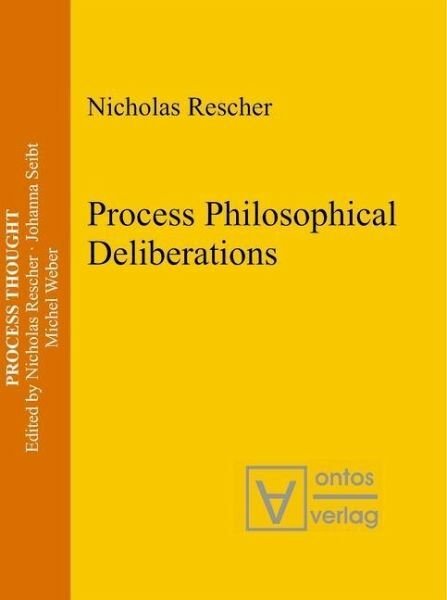 Process philosophy has established itself as one of the 20th century's prime contributions to philosophical thought and Nicholas Rescher has for many years figured among its prime exponents. 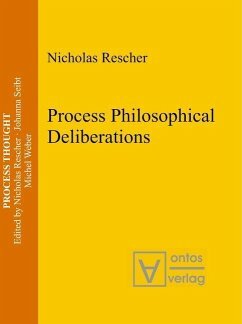 His new book Process Philosophical Deliberations collects together ten studies illuminating various aspects of this many-sided philosophical approach. Among the topics treated are the nature of process philosophy itself, as well as its implementation in such areas as epistemology, value theory, moral philosophy, and the philosophy of science. Nicholas Rescher is University Professor of Philosophy at the University of Pittsburgh where he also served for many years as Director of the Center for Philosophy of Science. He is a former president of the Eastern Division of the American Philosophical Association, and has also served as President of the American Catholic Philosophical Association, the Americna Metaphysical Society, the American G. W. Leibniz Society, and the C. S. Peirce Society. An honorary member of Corpus Christi College, Oxford, he has been elected to membership in the European Academy of Arts and Sciences (Academia Europaea), the Institut International de Philosophie, and several other learned academies. Having held visiting lectureships at Oxford, Constance, Salamanca, Munich, and Marburg, Professor Rescher has received six honorary degrees from universities on three continents. Author of some hundred books ranging over many areas of philosophy, over a dozen of them translated into other languages, he was awarded the Alexander von Humboldt Prize for Humanistic Scholarship in 1984.